The Teen Titans have been one of the DC Universe's most prominent Super Hero teams ever since their debut in 1964, back before they even had a official name! In their 54-year history, the Titans have had many different rosters, some more popular than others. Here are five essential line-ups for the Titans from the very beginning right up through today. Back in 1964, three of the Justice League's junior sidekicks -- Robin, Kid Flash and Aqualad -- saved the small town of Hatton Corners from the villainous Mr. Twister, in The Brave and the Bold #54. It was supposed to be a one-off adventure. But it proved so popular that the three youths were soon joined by the young Amazon who called herself Wonder Girl. Together, they adopted the name Teen Titans, and they quickly received their own title. Eventually, the 1960’s other "Fab Four" were joined by Green Arrow's sidekick Speedy, cementing this iconic roster. The super teens had many adventures together thoughout the swingin' sixties, fighting wild villains with names like the Mad Mod, the Demon Dragster, and Captain Rumble, all while speaking in -- what the book's middle-aged writer Bob Haney considerd -- the "hip" slang of the time and spinning rock n' roll records in their secret HQ. Although far less serious than later versions of the team, this groovy lineup is still beloved by fans everywhere, and is the foundation on which all other versions of the Titans were built. Read their adventures here. The '70s was a transitional time for the Teen Titans, as DC tried several different takes on the teens to keep readers interested. This iteration gave up their costumed identities for a brief while and worked for a millionaire named Mr. Jupiter. They were later part of a rock band called "Great Frog." The idea of franchising a superhero team began during this era, as Titans West was introduced, a short-lived spin-off group that would include future mainstay Beast Boy. Not as silly and fun as the Silver Age team, nor as groundbreaking as the later New Teen Titans, this iteration was a positive stepping stone towards the brilliance that followed it. Notably, the group added two young African-American heroes to the line-up -- Mal Duncan and Bumblebee -- the latter of which was DC Comics' first African-American female Super Hero. The red haired psychic Lilith Clay joined during this era as well; along with one of the oddest heroes to ever be a Titan, the Joker's Daughter! (Though in time she was revealed as the daughter of Two-Face.) Not everything clicked with this version of the team, but it was a memorable one nonetheless. After the original Teen Titans comic series ended in 1978, most fans thought that was it for the team. But in 1980, they would be revived into one of their greatest incarnations. The mystic Raven formed The New Teen Titans, with original members Robin, Kid Flash and Wonder Girl, along with new members Cyborg, Changeling (the former Beast Boy), and alien princess Starfire. Now comprised of older teens, this line-up was formed to fight Raven's demonic father Trigon, but also battled the likes of H.I.V.E and Blackfire (Starfire's sister). Most famously, the New Teen Titans inducted the Earth mover Terra to the group, who was eventually revealed to be a spy infiltrating their ranks under the orders of the mercenary Deathstroke. In another twist, during this era of peak popularity for the team, Deathstroke's own son Jericho would join the Titans. From their home base of Titans Tower in New York Harbor, these Titans saved the world time and time again, and became one of DC's most prominent and influential Super Hero teams of all time, not to mention the basis for the beloved animated TV series Teen Titans and Teen Titans Go!, as well as DC Universe's Titans. Read their adventures here and here. 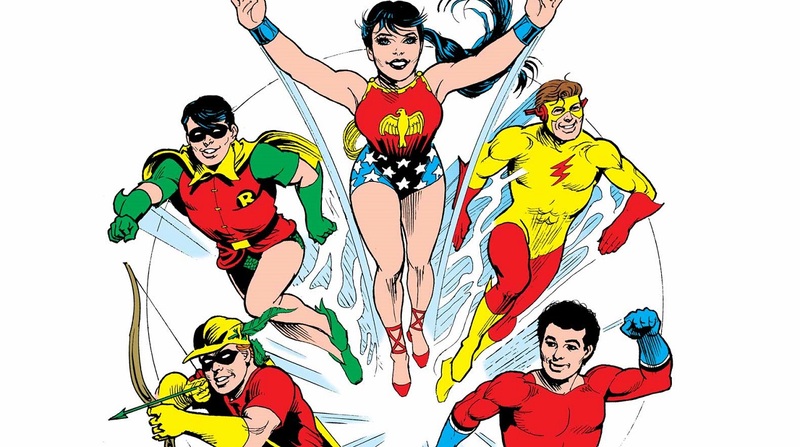 With the Titans now adults, the newest "teen" team in the DC Universe during the '90s was Young Justice, which counted among its members Superboy, the Tim Drake version of Robin, the speedster Impulse, and Cassie Sandsmark, the second Wonder Girl. But after the death of original Titan Donna Troy, the former Young Justice kids graduated into a new version of the Teen Titans, under the supervision of now elder statesmen Cyborg, Beast Boy, and Starfire. Raven was reborn in a teenage body during this era, and she once again joined the team, which was now based on the West Coast. 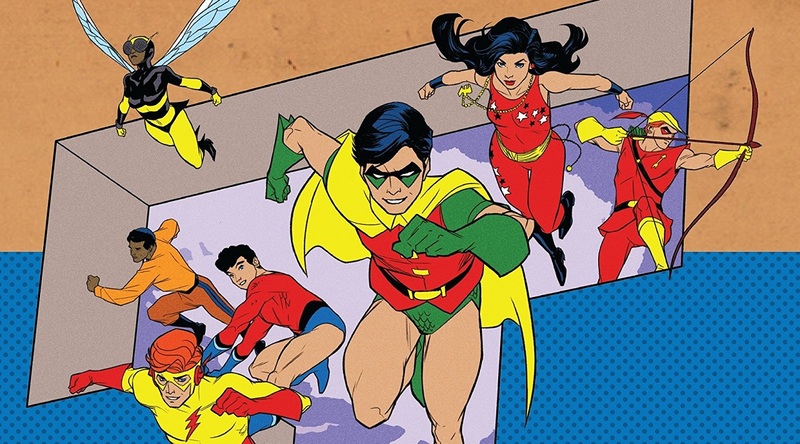 This version of the Titans gave fans exactly what they wanted, with an amalgamation of the '90s Young Justice series and the '80s New Teen Titans. A combo that remains a favorite to this day. Read their adventures here. 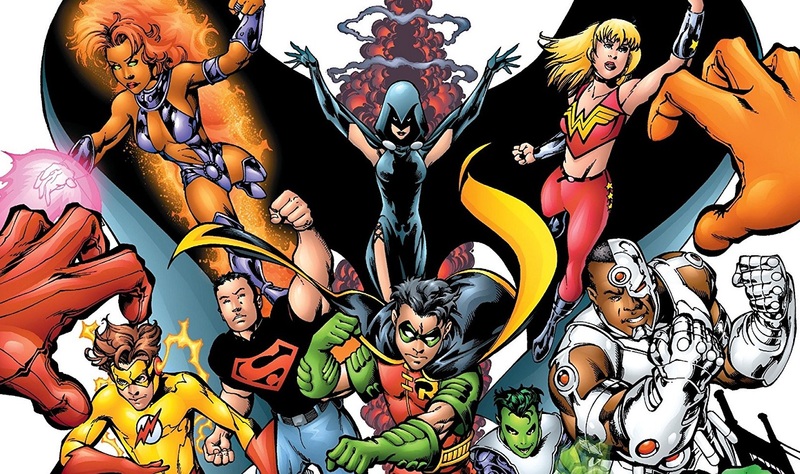 The original five Teen Titans had undergone many, many changes in the decades since the team was originally formed, and the young heroes grew into adults. Robin had become Nightwing, Speedy had become Arsenal, and Aqualad had become Tempest. Wonder Girl changed her name and her origin so many times, she now simply went by her real name, Donna Troy. Most importantly, Kid Flash Wally West had long since become the third hero to take on the name The Flash. These now adult Super-Heroes reunited in the aftermath of 2016's DC Universe: Rebirth Special #1. 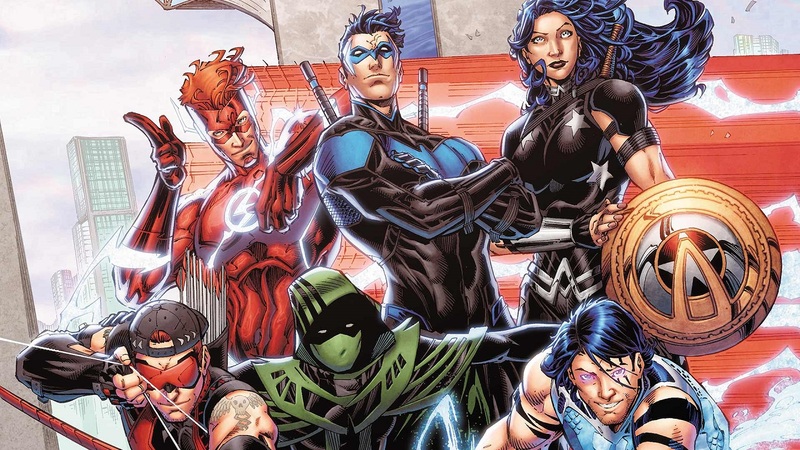 Now simply "The Titans," they proved to their mentors in the Justice League that they most certainly weren't a bunch of "kid sidekicks" anymore. Due to their long careers as crime fighters, this version of the Titans was among the most experienced and effective Super Heroes on Earth. Start reading their adventures here. Which version of the Teen Titans is your favorite? Let us know in our Community!